Super Savings Item! Free Shipping Included! Save 39% on the Why English? : Confronting the Hydra (Linguistic Diversity and Language Rights) by Multilingual Matters at Translate This Website. Hurry! Limited time offer. Offer valid only while supplies last. This book explores the ways and means by which English threatens the vitality and diversity of other languages and cultures in the modern world. This book explores the ways and means by which English threatens the vitality and diversity of other languages and cultures in the modern world. 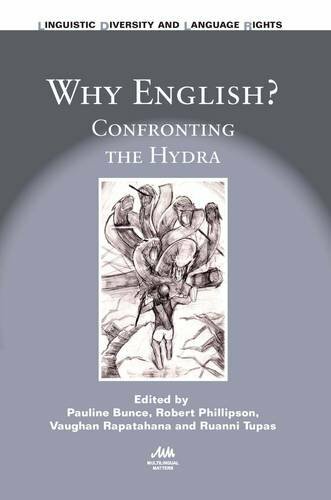 Using the metaphor of the Hydra monster from ancient Greek mythology, it explores the use and misuse of English in a wide range of contexts, revealing how the dominance of English is being confronted and counteracted around the globe. The authors explore the language policy challenges for governments and education systems at all levels, and show how changing the role of English can lead to greater success in education for a larger proportion of children. Through personal accounts, poems, essays and case studies, the book calls for greater efforts to ensure the maintenance of the world's linguistic and cultural diversity.